Kiss Devs BlogTechnology, in simple words! 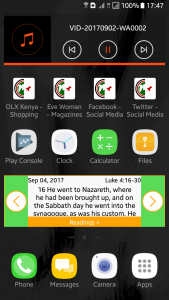 Ever wanted to know about everything that goes on in Kenya on the go? 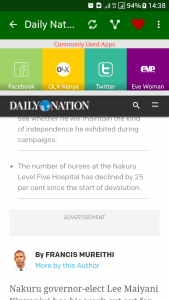 Well, Mkenya Online has nearly everything incorporated into a tiny but effective 5mb mobile App. 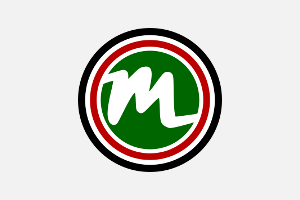 Whether you are looking for entertainment news, traffic news or even information about numerous Kenya’s attraction sites and places, Mkenya Online mobile App is all you need. 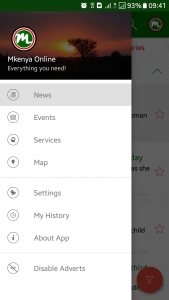 It is quite a hands on App that serves everyone regardless of age, interests and preference. You will not only get to know about everything entertainment, business, lifestyle, technology ,sports and other relevant sections in Kenya but also access various important government services like ECitizenKe, Kenya ICT, NTSA Kenya, Kenyan Foreign Affairs, eBusiness Kenya, eVisa Kenya, The President Kenya(Presidency) among others. Special package is also on the offing for blog readers who can sample a host of articles from top bloggers like Biko Zulu, This Is Es, Potentash, The Magunga, Ben Kiruthi among others. 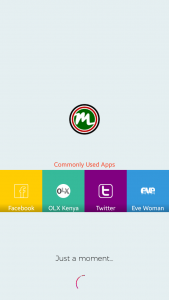 The Mkenya Online App has fast garnered popularity among Kenyans who have lauded the developers (Kiss Devs) for this one of a kind idea. The app already has over 3000 downloads.